After two years of operation, around 250 submissions and over 100 published articles, it is time to refresh the editorial board, and to consolidate the peer-review process at Quantum. Here are the news. These editors were chosen by the Steering Board, on the basis of recommendation from our Editorial and Executive Boards, depending on which fields needed more coverage. In particular there is a reinforcement on applied aspects of quantum computing, for which we have received many submissions. More editors will join Quantum in the near future. 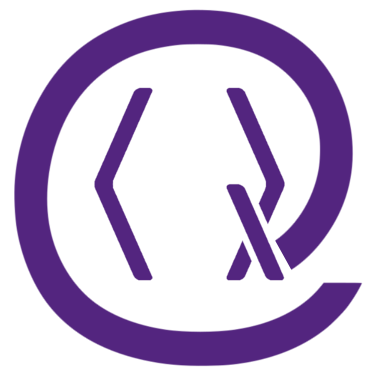 We have updated Quantum’s internal guidelines for editors and admins, and in the interest of transparency, we decided to make them publicly available. From the perspective of authors and referees, no rules have changed. You are welcome to have a look and let us know what you think. Some of the guidelines won’t make sense for non-editors (unless you are very familiar with Scholastica), but most are about general policy and workflow. More feedback for authors: authors will receive a monthly update on the submission status, letting them know which editor is handling it and when we expect to receive reports. More feedback for referees: the platform we use, Scholastica, does not automatically share the editorial decision with referees. From now on, we will ensure that referees receive a thank you email once a decision is made, including the decision letter and the other reports. Troubleshooting unresponsive editors and referees: by far the largest problem at Quantum has been the lack of a clear protocol to deal with unresponsiveness. Life happens, and there are many reasons why an editor or referee may forgo deadlines and stop replying to emails and reminders. After all, we are all working for Quantum on a volunteer basis, and this cannot always be a priority in our lives. There are also reasons why someone may not be able to notify us on time that they’re taking some time off. We don’t judge; the problem was that in these situations nobody really knew what to do. When the choice was between waiting a bit longer for the editor/referee to return, or assuming that the person would not be available and acting accordingly (e.g. by reassigning the manuscript or inviting new referees), we found that most of our editors would default to the former. Typically, this resulted in further delays, as someone who had been unresponsive for two or three weeks usually stayed so. We will now make it the default to assume that if someone has been unresponsive after reminders, they will not return in time to handle a given paper. The management assistants and Executive Board will then take the necessary measures to ensure that the paper is attended to. We will evaluate the impact of the new approach after six months and adjust accordingly. We thank all the authors who have written to us, letting us know that the processing of their submission was unreasonably delayed. This helped us identify the issues and bottlenecks in the editorial process, and take steps to prevent it from happening again. Thank you for your patience, and please keep the constructive criticism coming! We receive feedback from editors and referees constantly, and have been adapting the peer-review process accordingly: it is now fairly optimised for their experience (up to Scholastica peculiarities beyond our reach). For example, we have added a question to the referee report form asking them explicitly how the system has worked for them. At that stage, referees are typically happy with the process, and the major problems detected are the lack of a ‘save’ button, the fact that all fields are mandatory, and that the form for the second round of reviews is not simpler. All three issues have been repeatedly communicated to Scholastica, and we are hopeful that they will be addressed – it just may take a while. On the other hand, we rarely hear from authors about their experience, unless something goes very wrong. As such, we may be missing feedback that could help us improve the authors’ experience. Also, we don’t have a good grasp on how satisfied authors are with the different aspects of the peer-review process, such as quality of reports, fairness of the decision, time taken and communication with the journal. As such we would like to invite all authors who have ever submitted to Quantum to fill in this anonymous feedback form. Your answers will allow us to improve Quantum and let us know if we are on the right path.